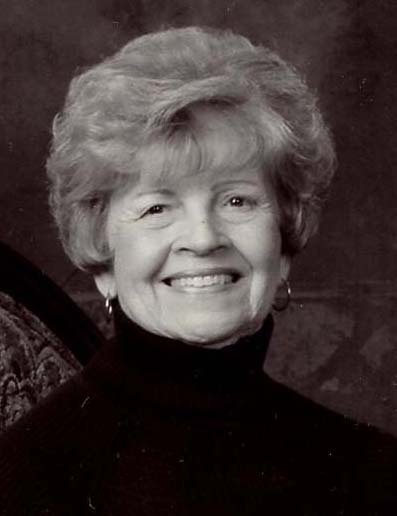 Georgia Root Crosby, 91, of Reidsville passed away peacefully with her family by her side at The Hospice Home of Rockingham County on Saturday February 2, 2019. Georgia was born on March 27, 1927, in Corbin, Kentucky to the late Henry and Mittie Ann Asher Root. Georgia married Lewis P. Crosby June 26th, 1950. She was preceded in death by her beloved husband of 60 years Dr. Lewis P. Crosby, her parents, 3 sisters, and 5 brothers. Survivors include her daughters, Jennifer C. Dalton and her friend Mike DeLapp,, and Jodi C. Hawkins and husband Ed. Grandsons, John Pulliam and wife Heather, and Sean Hawkins, granddaughters, Abby D. Johnson and husband Lee, and Shannon Hawkins. Great grandchildren, Ryleigh Kate Johnson, Dalton Johnson, and Kian Hawkins. To these she was a Mom, A Grandmother, A Memaw, A Gigi, and sometimes a Nog!! Georgia was an active member of her community. The thing she was most proud of was her service and dedication to First Baptist Church. She exemplified her faith in so many ways. She served as a deacon more than once, served on numerous committees, which she gladly did, assisted her husband with Sunday School and was a member of the choir for forty years. She was a member of The Reidsville Junior Service League, Womens Garden Club and was a volunteer at Annie Penn Hospital. She was a wonderful cook and taught her two daughters well. She also loved to travel, play golf back in the day, knit and do needlepoint. Up until she fell ill, she still loved to jitterbug with anyone up for a challenge. A private funeral service will be held followed by entombment. The family will see friends at the home 2206 St. James Drive from 5:00 PM until 7:00 PM on Monday February 4, 2019. In lieu of flowers, the family would like to have donations made to The Hospice Home of Rockingham County P.O. Box 281 Wentworth, NC 27375. The family would like to thank her caregivers Erica and Colleen. She will be greatly missed by those who knew her, but not as much as her beloved family.